Focusing on the powerful theme of discipleship, "The Disciple's Joy" explores the joy of faith, helping readers discover joy in the midst of struggle. Foss explores the benefits of practicing discipleship and shows, through recent research, how a practicing faith provides meaning, belonging, and joy. Intended for both personal reflection and small group study, "The Disciple's Joy" builds on the six-time-tested marks of discipleship and introduces six practices for spiritual growth. It includes questions for reflection and discussion. 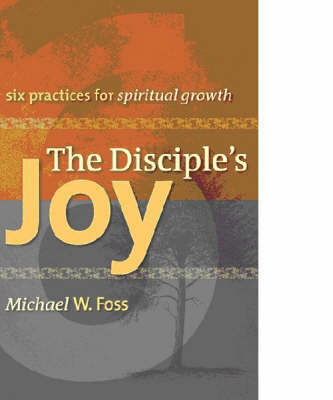 Disciple's Joy by Michael W. Foss was published by Augsburg Fortress Publishers in July 2007 and is our 62256th best seller. The ISBN for Disciple's Joy is 9780806653679. Be the first to review Disciple's Joy! Got a question? No problem! Just click here to ask us about Disciple's Joy.